Download the world's most popular browser Google Chrome for free here. One's internet browser is absolutely essential when it comes to one's internet experience, and there are many different browsers to choose from. However, there is one browser that differs from the competitors and that is Google Chrome. Google Chrome was first released back in 2008 and has since been increasingly successful. The success is due, among other things, to that at that time, there weren't any browsers that were just as fast, and at the same time had so many functional extra functions and were also free to download and use. Google Chrome has maintained its success and is a highly competitive browser that is the favorite of the majority of our users. Google Chrome is obviously developed by Google. A company that has long been the ruler of the Internet, among other things. because of their search engine. In addition, Google has the reputation of being a credible developer with a passion for their products - and Google Chrome is no exception. On release, Google Chrome was the fastest browser ever, and the browser has supposed to keep the high standard. In addition, Google Chrome is also frequently updated, which means that the browser will also be current speed-related in the future. Security is an absolute necessity when it comes to the internet, and there are many precautions you can take by choosing a secure and trustworthy browser. Google Chrome has a number of security features with it. Among other things. If you are in the process of downloading a risky file, Google Chrome will warn you of the risk and automatically remove the file - if you wish. 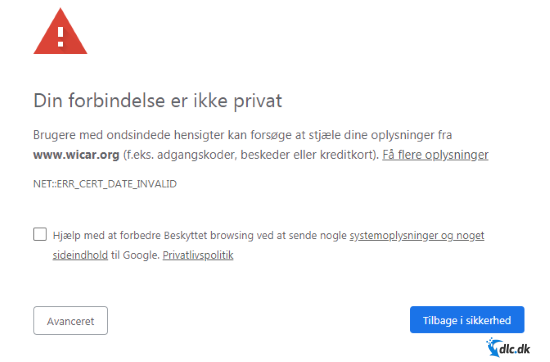 As seen above, Google Chrome scans the downloaded file and then blocks it - if it contains threatening malware. There are very few examples of Google Chrome blocking files that do not actually pose a threat. If this should happen to you and you are convinced that your file is not threatening then you can always manually approve the file and then continue downloading. Threatening downloads, however, are not the only security risk you encounter on the Internet. On some websites you will encounter various popups. Popups are when you open a new window that contains false information or maybe security threats. 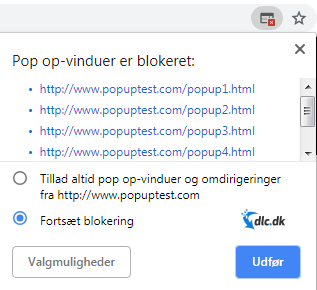 Google Chrome, of course, also has built-in popup blocking. As with downloads, you can choose to approve the various popups if you are absolutely sure you want to see them. The popup function works great. The last security feature we will mention is blocking websites. It works like this: If you are visiting a site that is not security-approved, then Google Chrome will automatically block the site for you. If you are visiting a threatening website, you will be greeted with the above warning. Next, you have the opportunity to read further information on why Google Chrome considers the site as threatening - you can also visit the website anyway if you are absolutely sure it is safe. Or you can go back and find another website to visit. 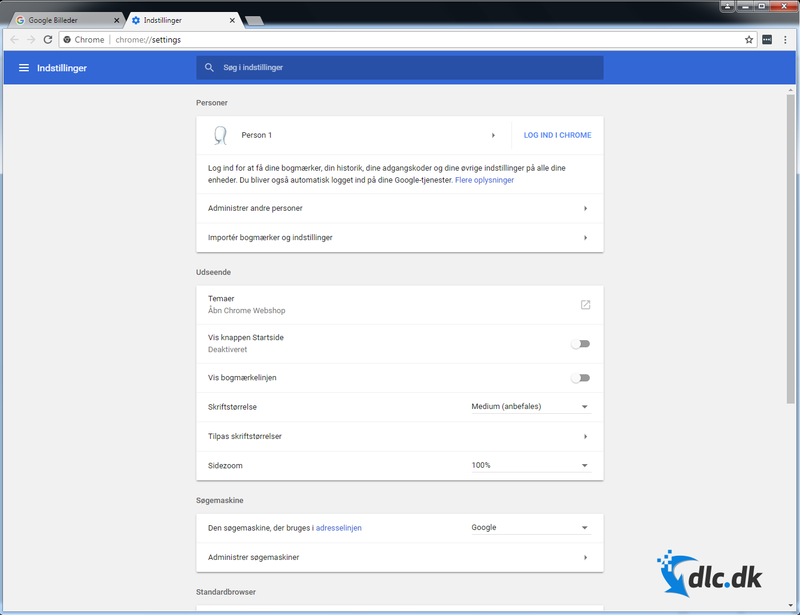 Google Chrome also has some exciting settings and extensions that can be added. 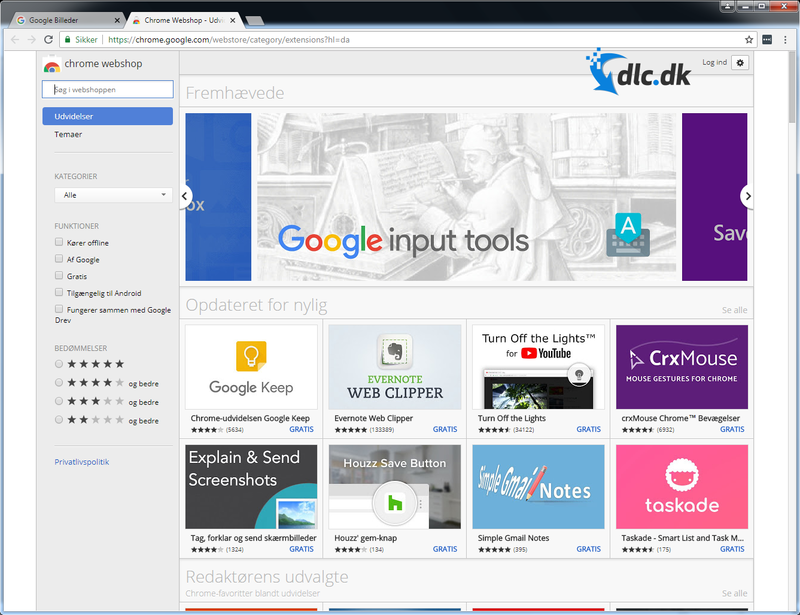 In the Google Chrome webshop find out a wealth of extensions that are simple software that can be added to your browser. For example, you can find software like AdBlock that blocks ALL advertisements on the Internet - including advertising in videos. There are many different extensions to choose from, and it can be advantageous to visit the webshop to find inspiration. The webshop is well designed, and one has, among other things, possibility to sort by number of stars and downloads, so that you can find the best and most popular extensions. There is also no lack of features in the settings. For example, you can log in with your email address, and Google Chrome will save passwords and passwordsbrowser history for you. It is even possible to synchronize - that is, if you log on to the same email address on your laptop as your desktop, you have everything with you. 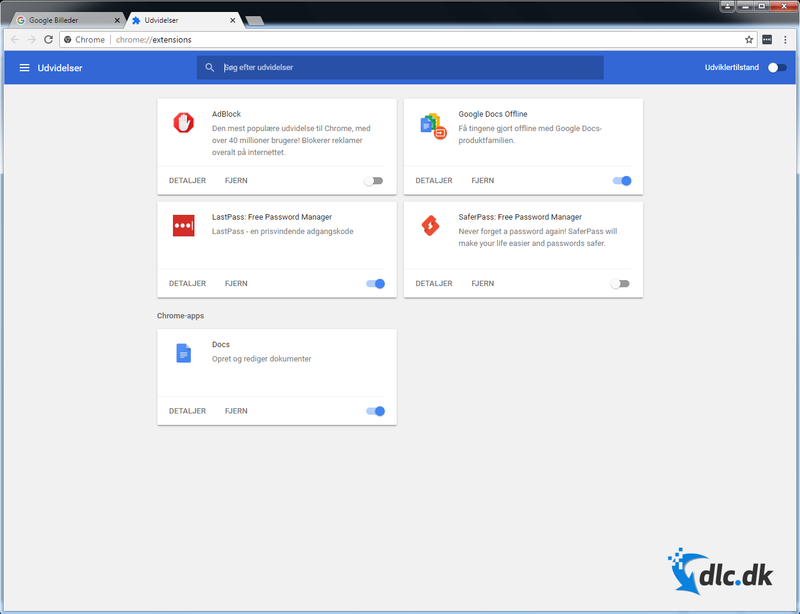 There is also the possibility to change the themes and appearance of Google Chrome so that the browser is as personal to you as possible. You can also find the different themes inside the webshop, and most of them are completely free. All you have to do is press the 'Add to Chrome' button. 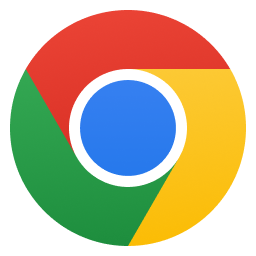 Google Chrome is designed for every imaginable operating system including: Windows, Mac OS, Linux, Android and iOS. We have used the different variants, and they are all well developed and usable. We found it especially interesting that Google Chrome had saved our browser history from our computer to our smartphone - because we were logged in with the same email address. A feature that we find extremely useful. One of our other favorite features is Incognito. When browsing through the incognito function, the browser does not store history, cookies or other traces of your internet usage. An extremely useful feature if you do not want other users of the computer to monitor what you are doing on the Internet. Incognito opens by pressing ctrl, shift and n simultaneously. 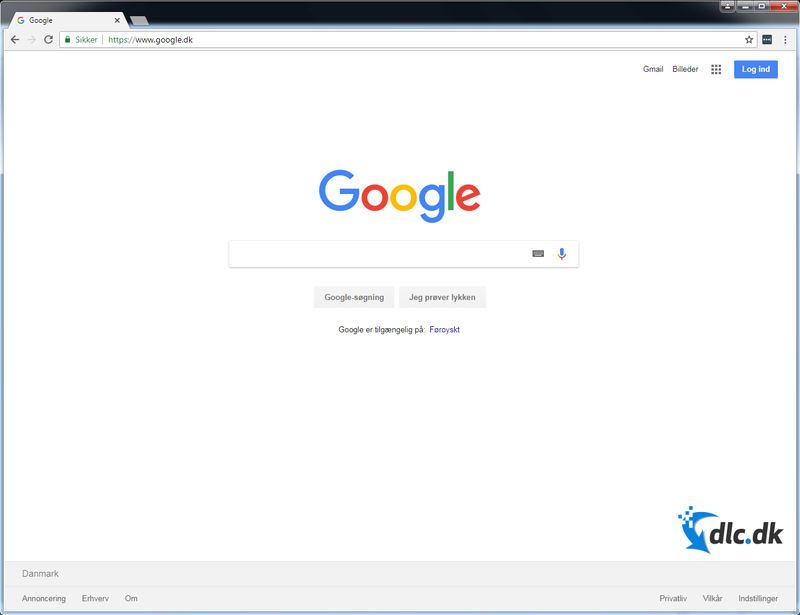 Incognito can also be opened at the top right of the browser as shown below. Google Chrome is one of the world's most popular browsers, and for quite some reason. The design is simple and comfortable to use. In addition, Google Chrome is outrageously fast compared to competing browsers. The many extra features are for us, just a huge plus and the icing on the cake. If you are missing a solid browser, then we give Google Chrome the warmest recommendation. 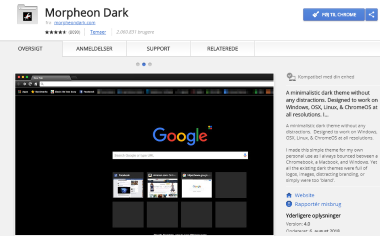 Find Google Chrome, mark it and choose "Uninstall"
Should Google Chrome has been damaged or corrupted and thereby difficult to remove we can recommend you finding help to uninstall it here.